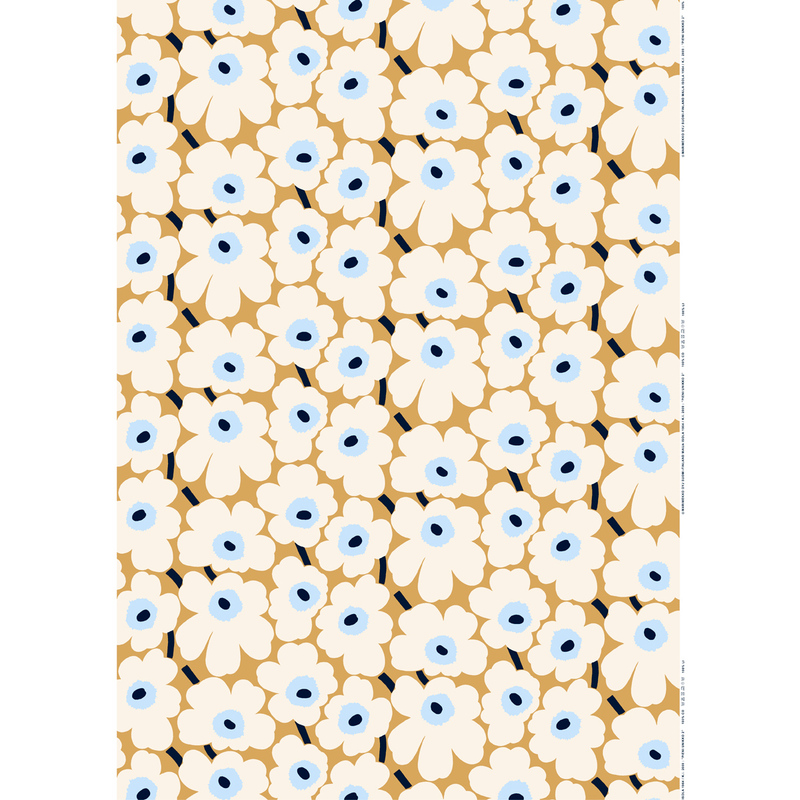 More about Marimekko Pieni Unikko Beige / Blue Acrylic-Coated Cotton Fabric Maija Isola’s popular Unikko pattern was created in th e1960’s during the height of modern design, and has since remained an iconic pattern of the time. Delving into oversized deign and deconstructed shapes led Isola to create larger than life patterns, but here, her famous poppy flowers are taken down to a smaller (pieni) scale. 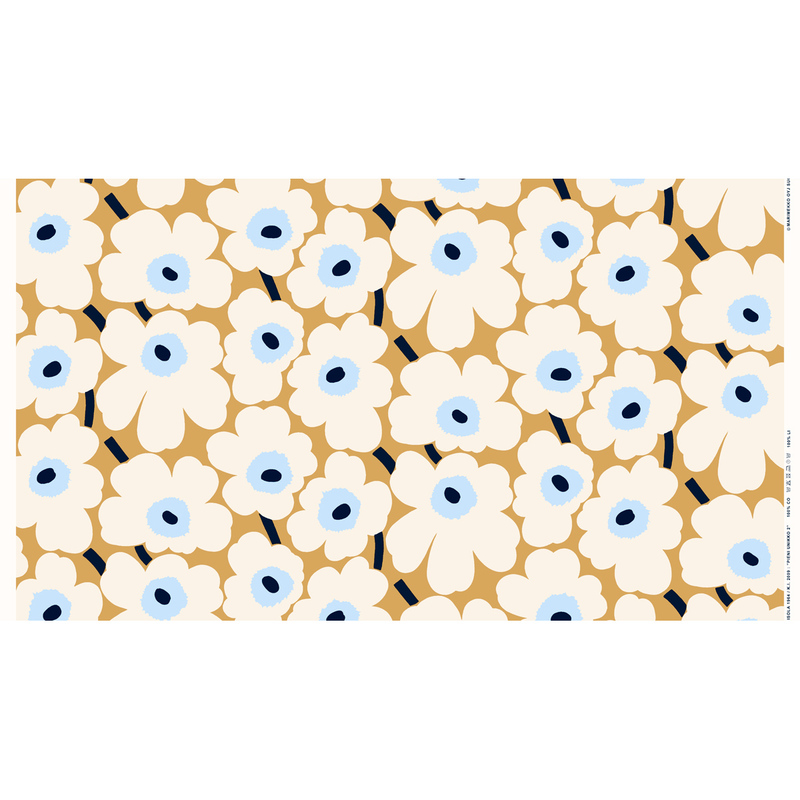 Beige and white blossoms with pops of blue are featured on this 100% acylic-coated cotton fabric for fashion or home décor crafting. Are these flowers smaller than those in the red/ white unikko pvc and is this coating as strong for a table cloth? These flowers are the medium size indicated by "Pieni" - they are 5.75 inches - 9.75 inch flowers. 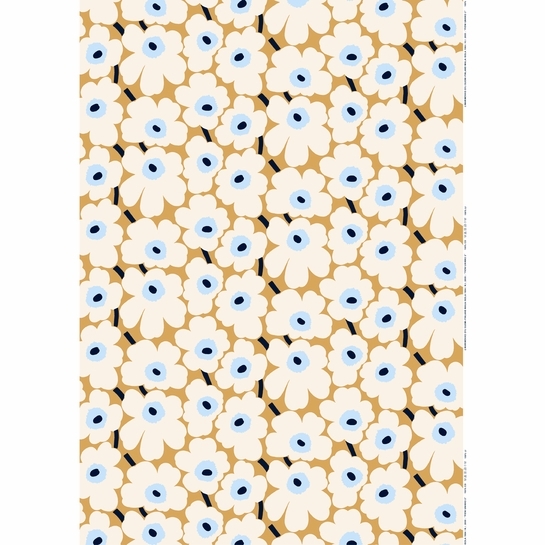 This Acryilic fabric is replacing Marimekko's PVC fabrics and is usable in same manner (ie tablecloths). It is more flexible than PVC but is strong and durable. wondering if a special sewing machine may be needed to stitch this fabric? It is not necessary to have a special machine to sew this fabric.